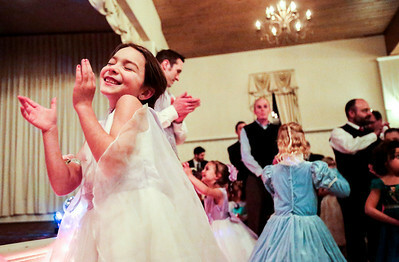 Kyle Grillot - kgrillot@shawmedia.com Mark Matthaei of the Village of Lakewood dances with his daughter Brynn, 6, at the Cinderella Daddy Daughter Ball Friday in Crystal Lake. The event, sponsored by the Crystal Lake Park District, sold out all 150 tickets for the event. 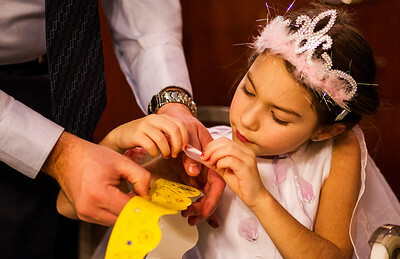 Kyle Grillot - kgrillot@shawmedia.com Damon Hill of Woodstock Watches his daughter Morgan, 5, make crafts during a break from dancing at the Cinderella Daddy Daughter Ball Friday in Crystal Lake. "I remember my dad doing this years ago with my sister," said HIll, " and now I get to myself." The event, sponsored by the Crystal Lake Park District, sold out all 150 tickets for the event. Kyle Grillot - kgrillot@shawmedia.com Mark Matthaei of the Village of Lakewood attaches a corsage to his daughter Brynn, 6, at the Cinderella Daddy Daughter Ball Friday in Crystal Lake. The event, sponsored by the Crystal Lake Park District, sold out all 150 tickets for the event. 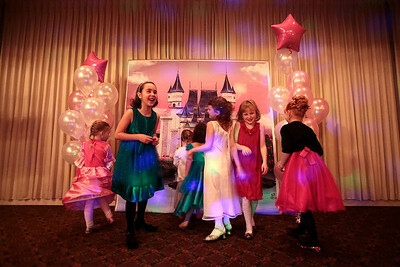 Kyle Grillot - kgrillot@shawmedia.com As girls enter the building they first check out the princess' castle before dancing at the Cinderella Daddy Daughter Ball Friday in Crystal Lake. The event, sponsored by the Crystal Lake Park District, sold out all 150 tickets for the event. 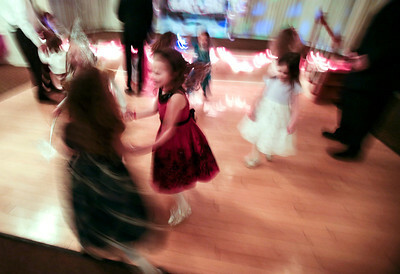 Kyle Grillot - kgrillot@shawmedia.com Girls including Brynn Matthaei, 6, (center) dancing at the Cinderella Daddy Daughter Ball Friday in Crystal Lake. The event, sponsored by the Crystal Lake Park District, sold out all 150 tickets for the event. 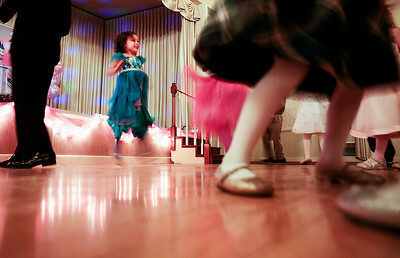 Kyle Grillot - kgrillot@shawmedia.com Damon Hill of Woodstock spins his daughter Morgan, 5, while dancing at the Cinderella Daddy Daughter Ball Friday in Crystal Lake. "I remember my dad doing this years ago with my sister," said HIll, " and now I get to myself." The event, sponsored by the Crystal Lake Park District, sold out all 150 tickets for the event. 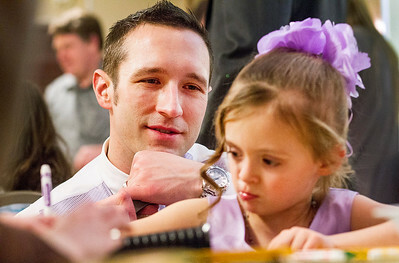 Kyle Grillot - kgrillot@shawmedia.com Brooke Halwix, 4, of Crystal Lake is helped by her dad Brian while making crafts during a break from dancing at the Cinderella Daddy Daughter Ball Friday in Crystal Lake. The event, sponsored by the Crystal Lake Park District, sold out all 150 tickets for the event. 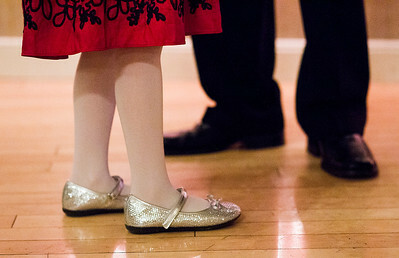 Kyle Grillot - kgrillot@shawmedia.com Molly Mueller, 4, of Crystal Lake dances at the Cinderella Daddy Daughter Ball Friday in Crystal Lake. The event, sponsored by the Crystal Lake Park District, sold out all 150 tickets for the event. 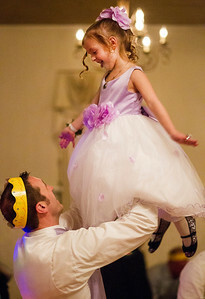 Kyle Grillot - kgrillot@shawmedia.com Layla Henning, 4, of Lake in the Hills is helped to put on her crown by her dad Brian at the Cinderella Daddy Daughter Ball Friday in Crystal Lake. The event, sponsored by the Crystal Lake Park District, sold out all 150 tickets for the event. 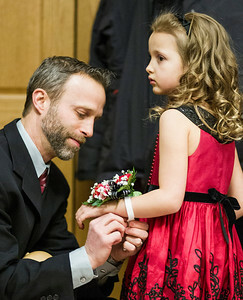 Kyle Grillot - kgrillot@shawmedia.com Michael Langlois of Crystal Lake puts a bracelet on his daughter Kimberly,5, at the Cinderella Daddy Daughter Ball Friday in Crystal Lake. The event, sponsored by the Crystal Lake Park District, sold out all 150 tickets for the event. 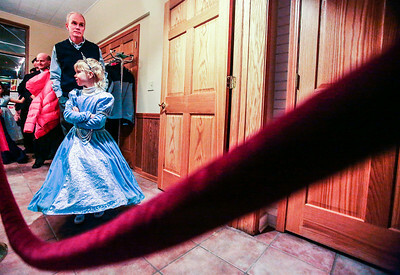 Kyle Grillot - kgrillot@shawmedia.com Alyssa Johnston looks to other girls as they enter the building with her father Tom behind her at the Cinderella Daddy Daughter Ball Friday in Crystal Lake. The event, sponsored by the Crystal Lake Park District, sold out all 150 tickets for the event. 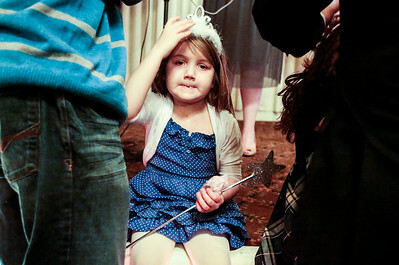 Kyle Grillot - kgrillot@shawmedia.com Brooke Halwix, 4, of Crystal Lake sheers as the crowning is announced during a break from dancing at the Cinderella Daddy Daughter Ball Friday in Crystal Lake. The event, sponsored by the Crystal Lake Park District, sold out all 150 tickets for the event. Kyle Grillot - kgrillot@shawmedia.com Mike Woods of Huntley (left) and Michael Langlois of Crystal Lake helps their daughters Mia,6, and Kimberly,5, with their jackets at the Cinderella Daddy Daughter Ball Friday in Crystal Lake. The event, sponsored by the Crystal Lake Park District, sold out all 150 tickets for the event. 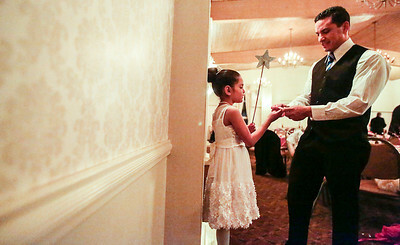 Damon Hill of Woodstock Watches his daughter Morgan, 5, make crafts during a break from dancing at the Cinderella Daddy Daughter Ball Friday in Crystal Lake. "I remember my dad doing this years ago with my sister," said HIll, " and now I get to myself." The event, sponsored by the Crystal Lake Park District, sold out all 150 tickets for the event.